Photo: Rose Hill Farm, ca. 1820, U.S. Route 50, Upperville, VA. Listed on the National Register of Historic Places in 1994. Photographed by user:Jerrye and Roy Klotz, MD, 2007, (own work) [cc-by-3.0 (creativecommons.org/licenses/by/3.0)], via Wikimedia Commons, accessed January, 2016. Loudoun County administrative offices are located at 1 Harrison Street Southeast, Leesburg, VA 20177; phone: 703-777-0204. 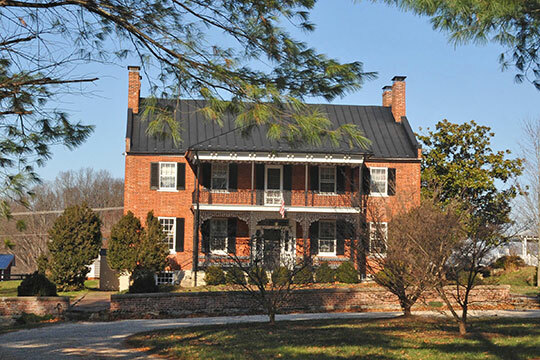 The seven incorporated Towns in Loudoun County offer a window to the County's past and are a key component of its unique character today. Most were incorporated more than a century ago. The Towns became agricultural business centers, providing markets for farm products and the necessary goods and services for rural residents. The origins of several towns are also in tourism as many city dwellers traveled on the train to stay in lovely boarding houses and inns for summer vacations. Over the years, the Towns have developed as the population centers as well as the location for employment and public facilities. Today, the Towns, while still influenced by their agricultural tradition, play a more varied role that includes retail and service-based businesses, home-based businesses, educational opportunities, and telecommuting as well as serving as bedroom communities for many who commute to jobs in the region. Yet, they have largely managed to retain their charm and distinct sense of community. Leesburg serves as the County seat and is the largest of the Towns. Hamilton, Purcellville, and Round Hill are located in close proximity along the western Route 7 corridor. Middleburg is the southernmost Town and is located astride Route 50. Lovettsville is located in the northern portion of the County along Route 287 and Hillsboro, the smallest incorporated Town in the County, is located in the northwest section of the County on Route 9. Loudoun County General Plan, 2001 and 2011, www.loudoun.gov, accessed August, 2012.